A baby shower invitation in pink and green. 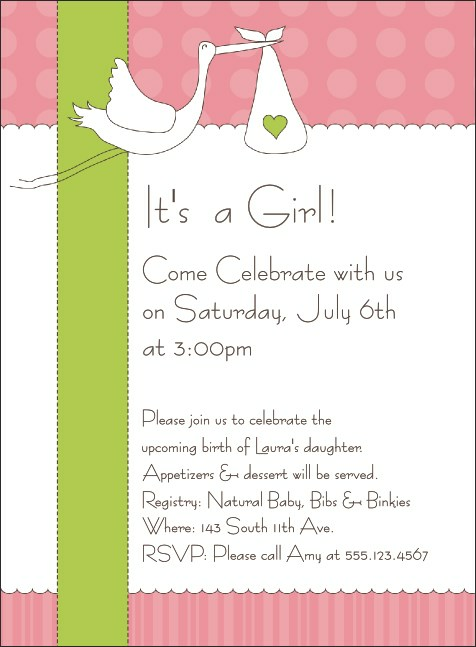 This full bleed invitation template has a picture of a stork on a pink striped and polka dotted background. Ten lines of information welcome your guests to your celebration.